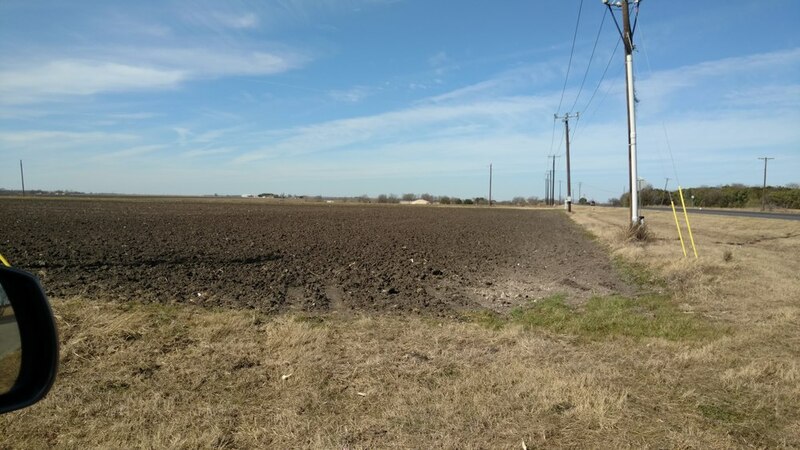 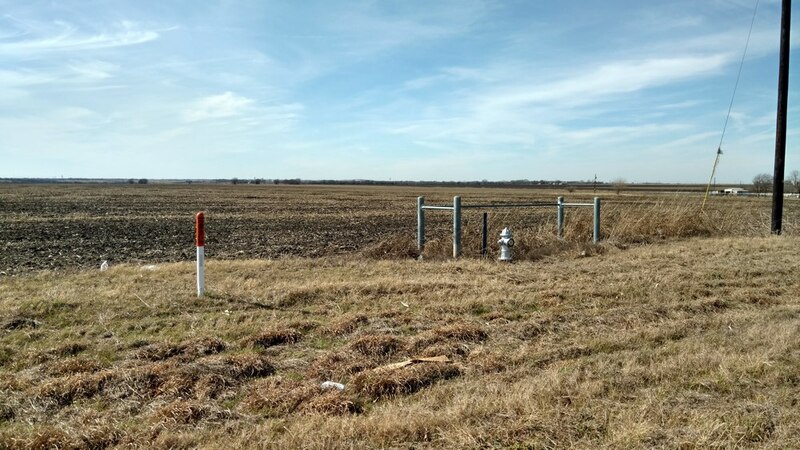 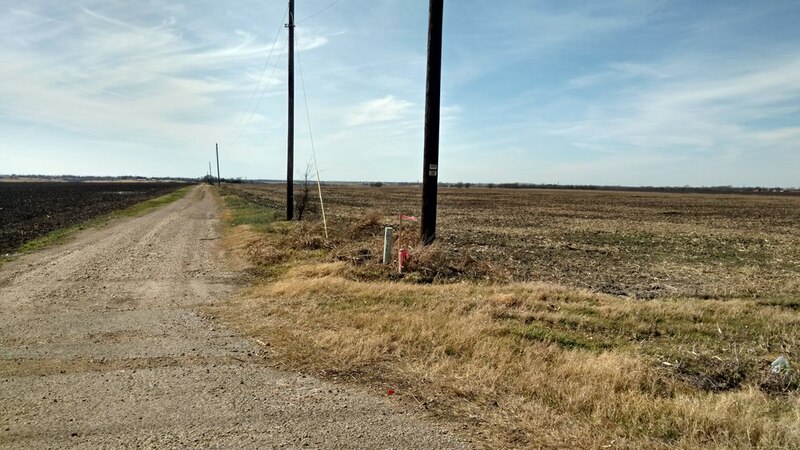 Excellent FM 397 Highway frontage Flat developable land served by CIty Water & Sewer. 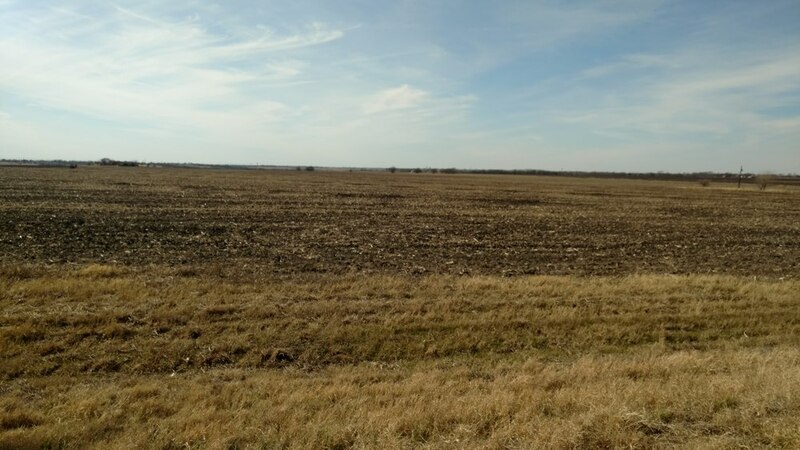 Does not appear to have any flood plain. 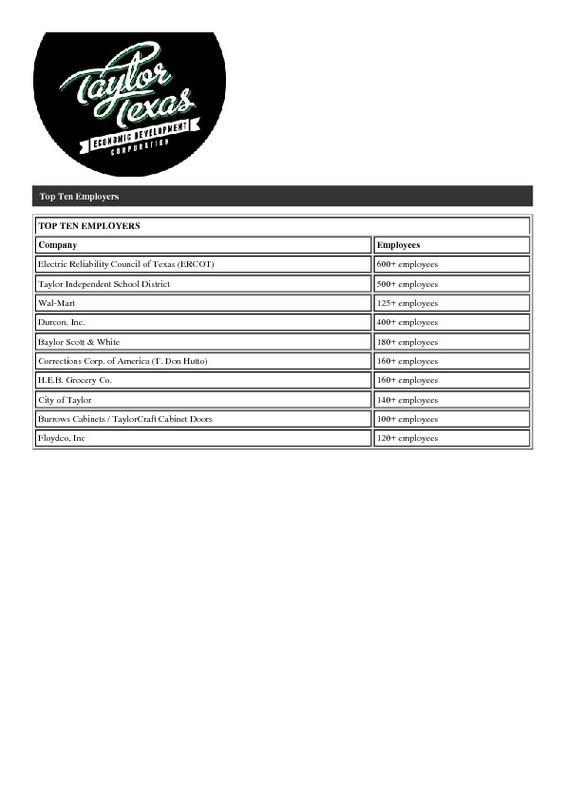 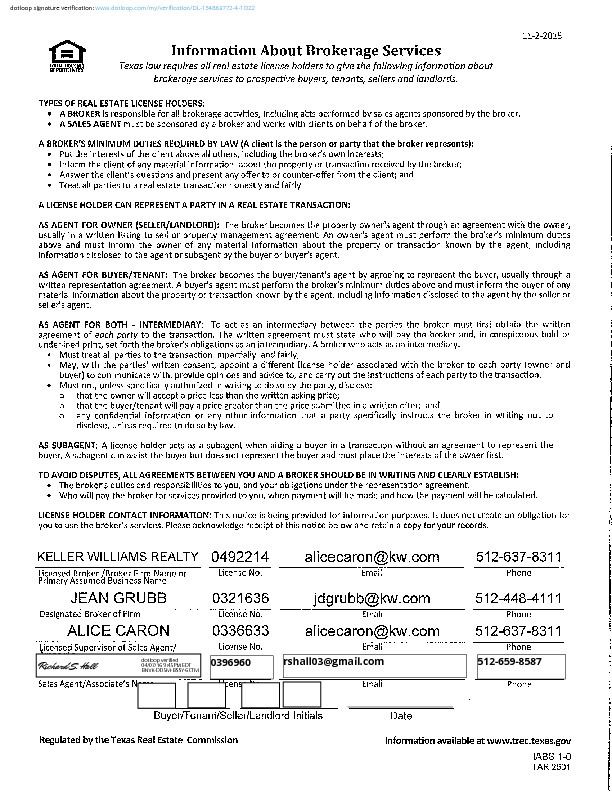 Currently in cultivation Ag Exempt B1 Zoning appears suitable for commercial retail, office, medical, hotel, multi-family, retirement or school development. 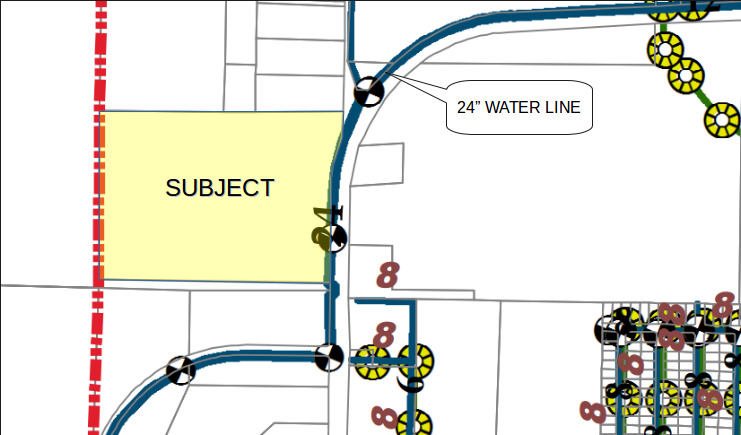 Water system looks to have a 24” line at the frontage of this tract (west side of Carlos G Parker /FM397). 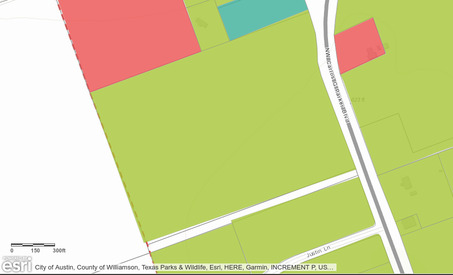 Wastewater system looks to be to the south end and just across on the east side of Carlos G Parker/FM 397) Interactive Taylor Demographics link: http://www.animateddemographics.com/taylor Located in NW Quadrant of Taylor; a growing city in Williamson County approx 20 miles east of IH-35 / Round Rock off Hwy 79, and approx 30 miles northeast of Austin. 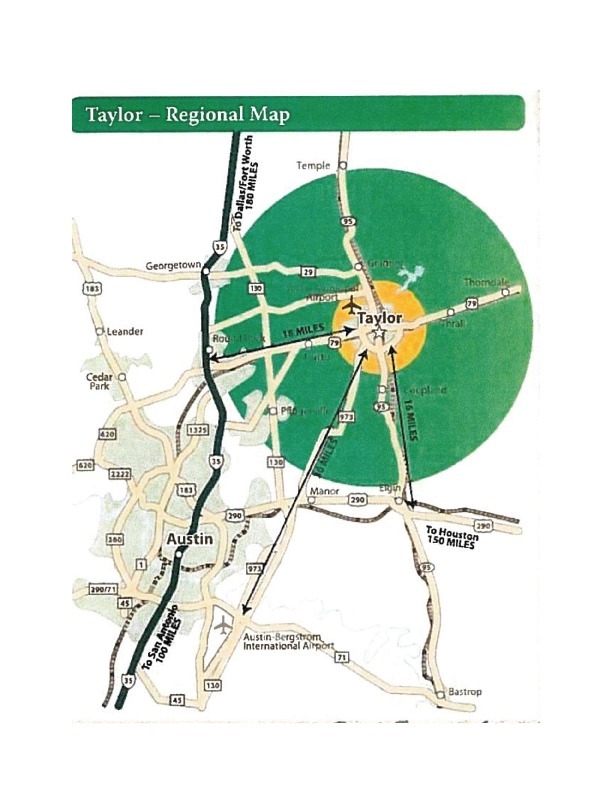 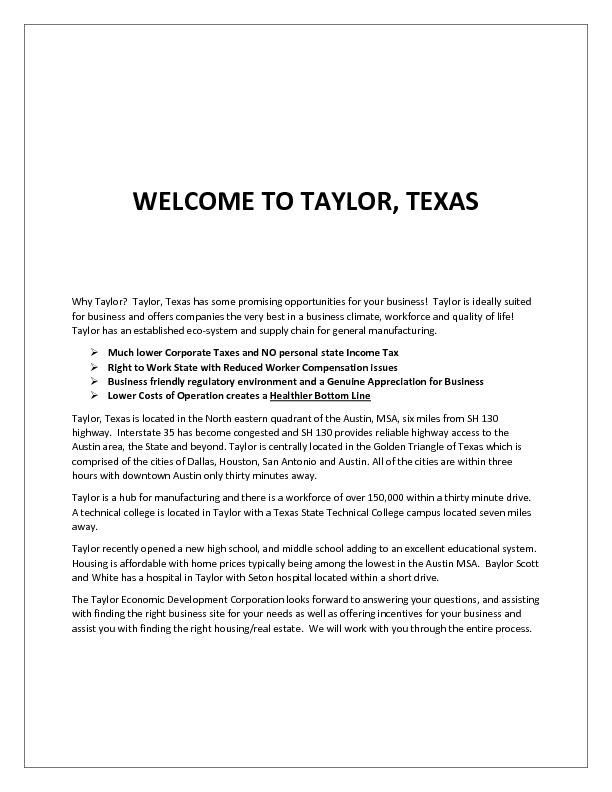 Taylor an idyllic country community of more than 18,000 is quickly transitioning into more progressive urban landscape. 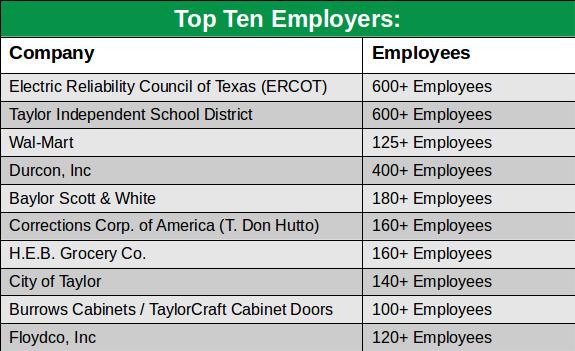 Major area generators are the Williamson County Expo Center, ERCOT facility, the new Taylor Public Library, the The Sustainable Technology Academy providing training for emerging "green" technology companies, Taylor Regional Park & Sports Complex and the East Williamson County Higher Education Center, a multi-institutional teaching center that boasts a partnership of Temple College, Texas State Technical College, Texas Tech, Concordia College. 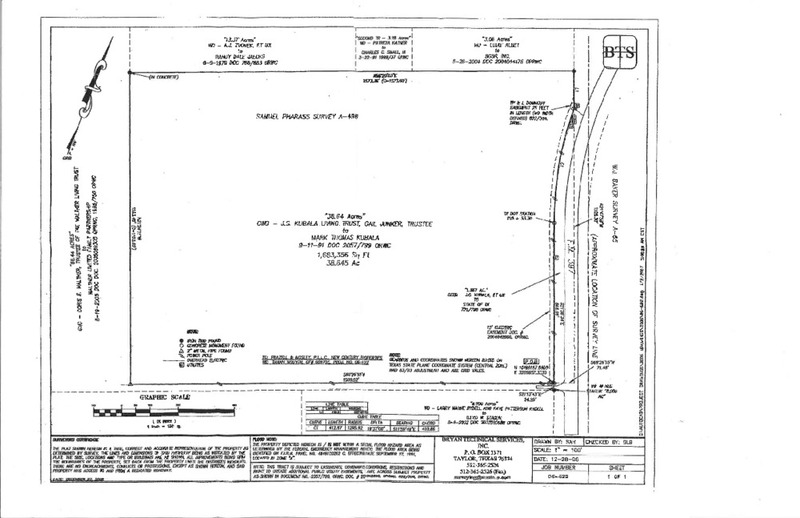 **Subject Property address number is approximated **The future Williamson County Transportation Plan for Carlos G Parker (FM397) and CR 366 is a squared off signalized intersection – this is off-site of the subject property, but close enough that it would/will affect traffic patterns and means of ingress/egress in the future. 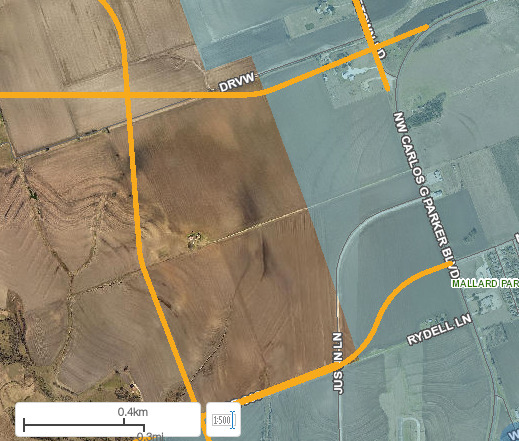 A westward extension of Carlos G Parker is planned, and this would provide future connectivity options for this property to the north (via/through R019628). 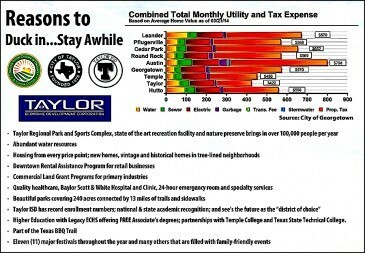 All of which should be positive for the Subject property; and reflecting increasing traffic & growth in this quadrant.